Olive wedding stefana crowns handmade with porcelain olives, leaves and green beads, woven in with dried weeds and other elements on a natural branch. They are tied together with white organza ribbon. 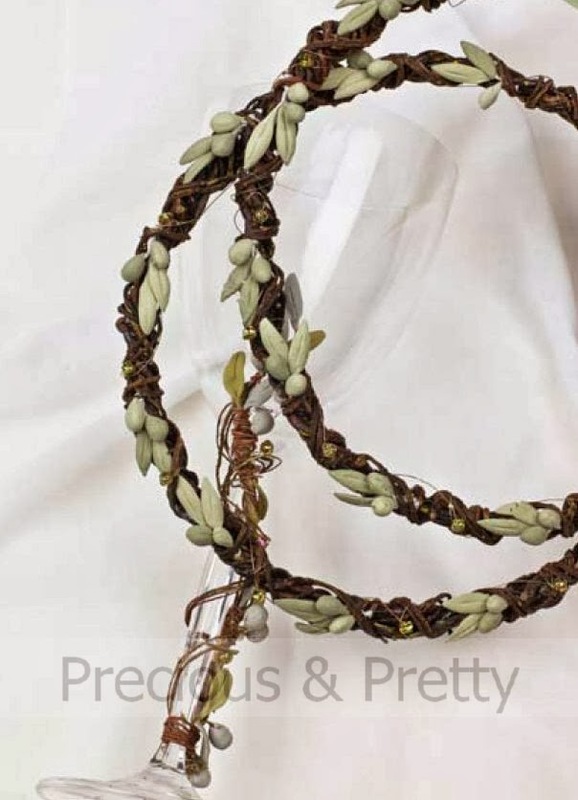 https://www.preciousandpretty.com/2012/07/greek-olive-stefana-handmade.html Greek Wedding Favors|Orthodox Crowns|Stefana|Baptism Invitations Ancient greek style wedding crowns N585 Olive wedding stefana crowns handmade with porcelain olives and leaves. Product #: Greek Wedding Favors|Orthodox Crowns|Stefana|Baptism Invitations_113441638399791847 5 stars out of 5 reviews.